For cyclists, the benefits of getting their sweat on at group shop trainer classes as opposed to alone in the basement are obvious. Structured training, and having others to hold them accountable makes training bearable, and sometimes even…dare we say fun? For retailers, offering trainer classes helps to boost sales, keep more employees on staff during the winter, increase their number of regular customers, and differentiate their shop from others in the area. “Having off-season trainer classes not only helps financially, but mentally too. For our staff, there’s no winter doldrums here. 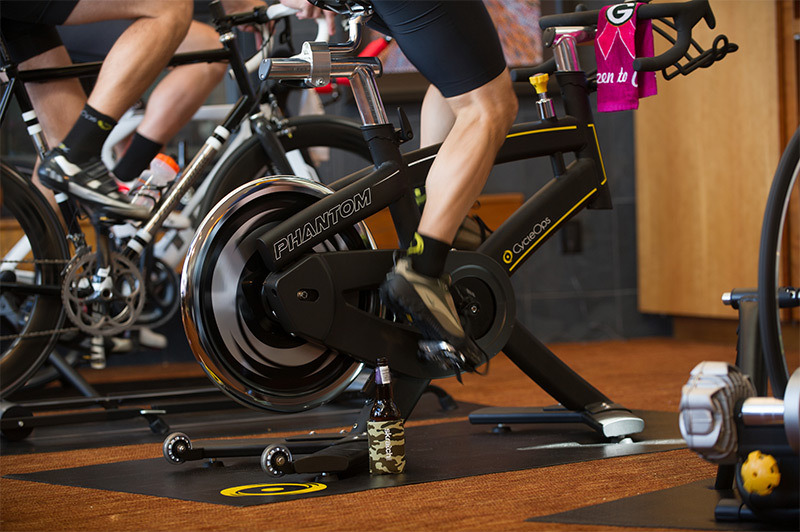 There isn’t a single day where we don’t have at least a handful of our regulars come in,” explains Sam Morgen of NOW Bikes and Fitness in Minnesota. Both Morgen and Butcher work at similarly-sized shops that offer a bit of everything from high-end carbon road bikes to aluminum hybrids. They cater to casual riders who might compete in a handful of races or organized rides each year and who enjoy riding for the experience and exercise. They also both offer indoor trainer classes and have enjoyed the benefits of running multi-year long programs that customers rave about. Their programs are similar in some ways, but also differ in key areas. Despite their shops’ similarities, they’ve found their own ways to maximize class profits and popularity. Read on to gain tips from Morgen and Butcher on creating or improving your own indoor trainer program in a way that works for your shop. There are plenty of reasons to offer classes during the spring, summer, and fall including customer retention, daylight, safety, etc. Any bike shop can benefit from offering off-season trainer classes. Get started now and increase your off-season traffic, give your employees more individualized time with customers, and set your shop apart from the competition. Be sure to check with your insurance agent about coverage for holding indoor training sessions at your shop. Whether or not you charge a fee for the sessions, it is recommended that participants sign an appropriate waiver or release.